With the first 5G-ready smartphones expected to be released in 2019, mobile phone operators are gearing up to test the new super-fast network. Super-fast mobile streaming could start to appear in some regions as early as next year. Network providers around the world are preparing to test 5G networks throughout 2018, with the first 5G-ready smartphones expected to appear in 2019. 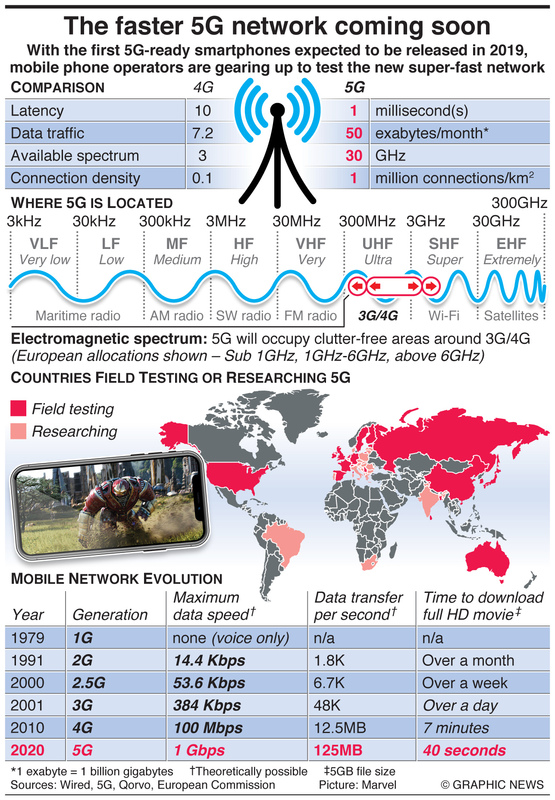 If successful 5G will supply broadband-equivalent download speeds over mobile networks. That would put an end to lengthy waiting periods for videos to buffer and web pages to load, and make it easier for future technology to evolve like driverless cars that need to rapidly transfer vast amounts of data. E&T recently reported that Vodafone has trialled a holographic call using 5G technology in a live call between England and Manchester City Women FC captain Steph Houghton and young fan Iris. Seems like the technology works: coming soon, to a coat pocket near you.